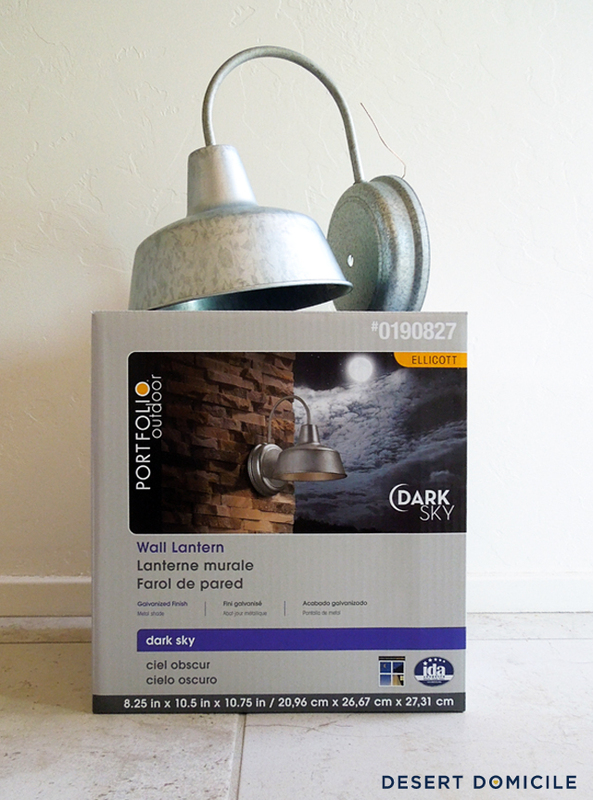 Before our house was finished being built, I knew that we were going to end up replacing all of the builder basic lighting fixtures. None of them were terrible, they just weren't my style but I knew I'd have to save up some money before they could come down. Ok, maybe this one was terrible haha The thing gave off heat hotter than the desert sun I live in and practically blinded you every time you turned it on! We've lived with it for the past few months while trying to find a replacement and I'm happy to say that we finally found that replacement over the weekend! 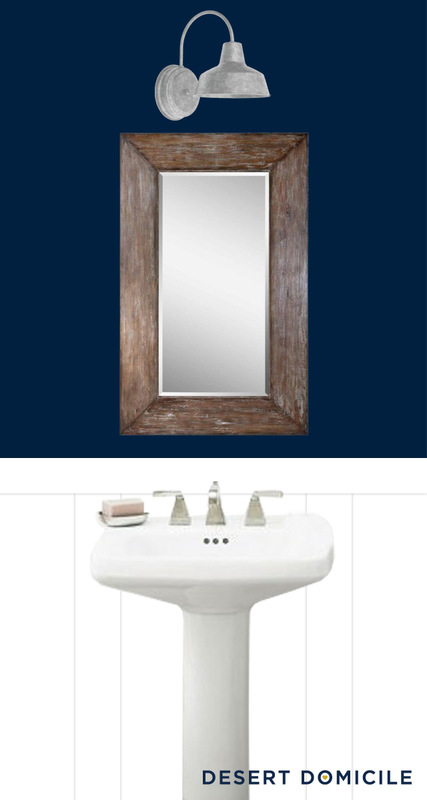 I like the look of the light but the price tag is a little high considering I'm trying to keep the powder room makeover under $200 if possible. 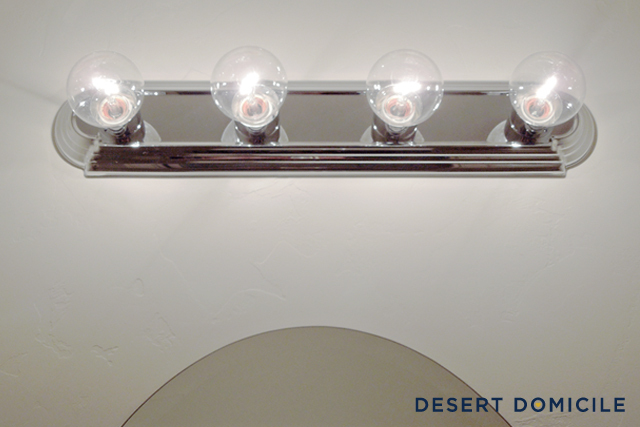 I'd prefer to stay closer to the $150 range and a $100 light fixture blows more than half of that budget. Womp, womp. Saturday night we started to prep for paint and took down the old light fixture. On Sunday morning, I needed to make a trip to Lowe's so I thought I'd check out their lighting section to see what they had that was within my budget since I didn't want to put the old fixture back up after we painted. Well guess what I found? 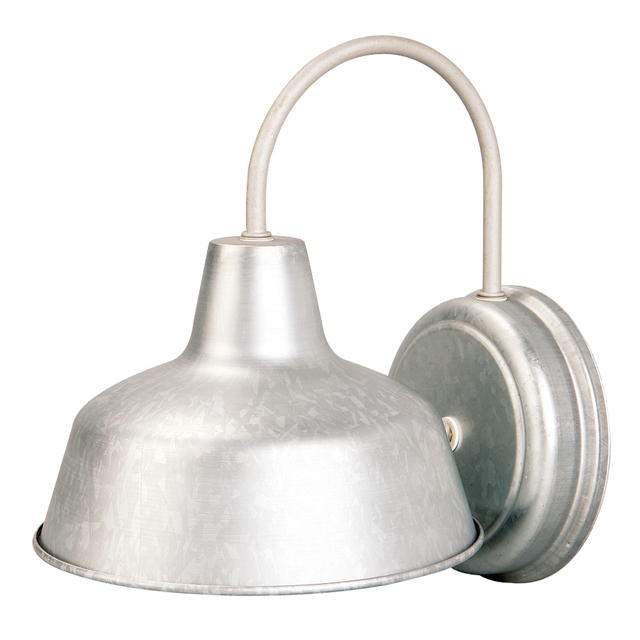 A similar barn lighting sconce for ... drum roll please ... $24.98!!! My electrician is coming out this afternoon to install an outlet box in the wall so I have something to mount the light to since one wasn't installed before we moved in and the old "Hollywood" light fixture was just screwed into the drywall. After it's installed, we can finish painting and I can show you the semi-finished room! Have you ever stumbled upon a look for less? Wow! Such a great find! You should submit this to Copy Cat Chic! I can't wait to see the finished product. I just submitted it to her site! Fingers crossed she likes the find! Woo Hoo!! I love an unexpected bargain!! Me too! I was shocked when I saw how similar they were! 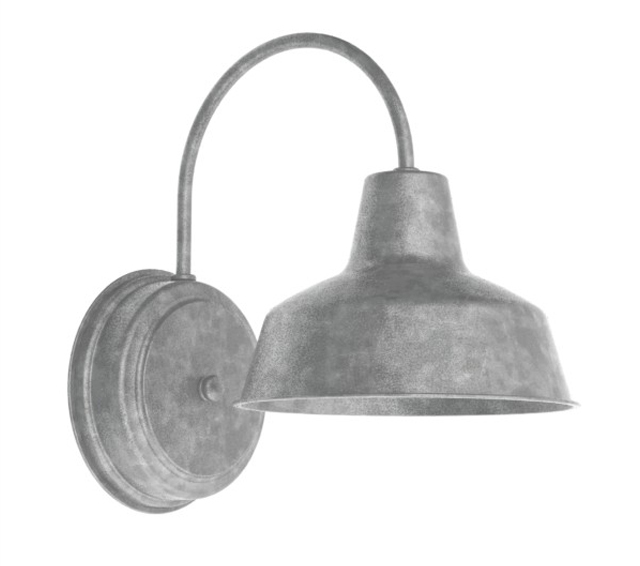 I was price comparing for my new bathroom sconces and guess who's post came up with I seached: vintage galvanized barn sconce.